Over this month, we’ve workshopped a bunch of different ideas: dance parties in coffee shops, bubble boy experiments, magic circles, oil bubble games, and secret chalk outlines through the city. And I want to say, in my social circle people talk a lot about respecting boundaries, informed consent, verbal consent, all sorts of things like that. Stuff that could lead this show down dark paths if people want to tell stories about broken sexual boundaries. And if that happens, that’s okay. But attached to the general theme is a task. That task is to Define a Space. With the group task, which Bonnie participated in, we decided we wanted to make something unusual happen in a common public space. 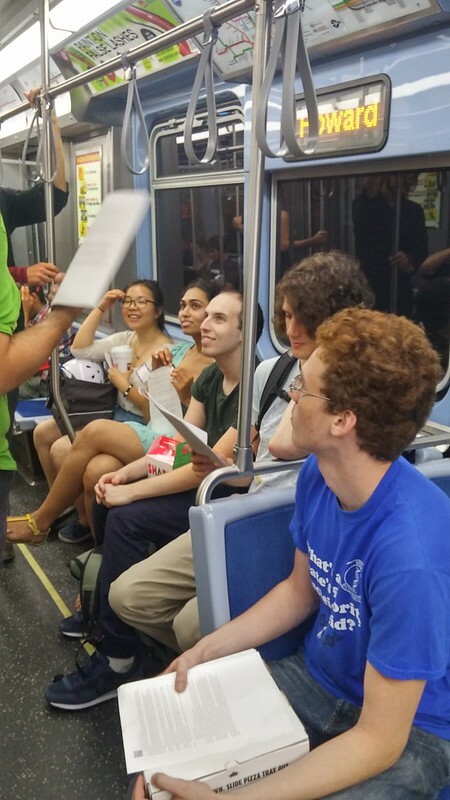 After some back and forth, we decided holding a book club on the CTA would be an enjoyable get for us. Moving on, Both Duo and Bonnie relocated there abodes this month. 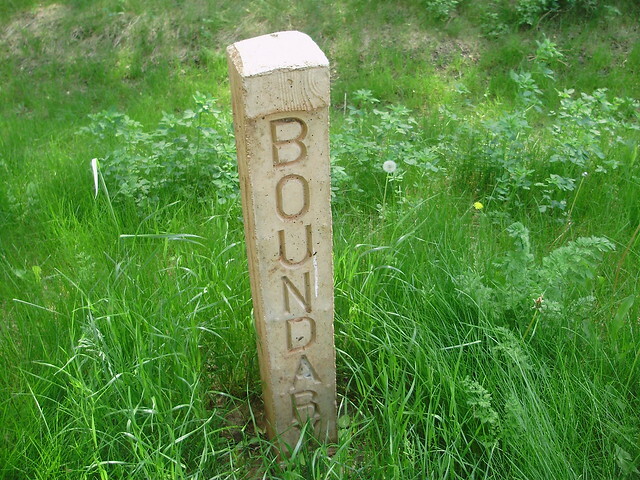 The boundaries of “home” are ones that move. The space we live in, is a wildly different space when it’s empty. Without the artifacts that make us, does our spirit still linger? Do the boundaries of self remain in the empty rooms, if so, how long do the wisps of memory remain? I know I could go back to Blithe Court in Grand Rapids and feel at home, even though I haven’t lived there since I was–what?– five? I’m really looking forward to the feature stories this month. Bring food, or post a story about boundaries, and get into the show for free.